Contained within the space that would normally be taken up by a bookcase is a couch, pull-out tables and footrests, and that all-important storage area for books. 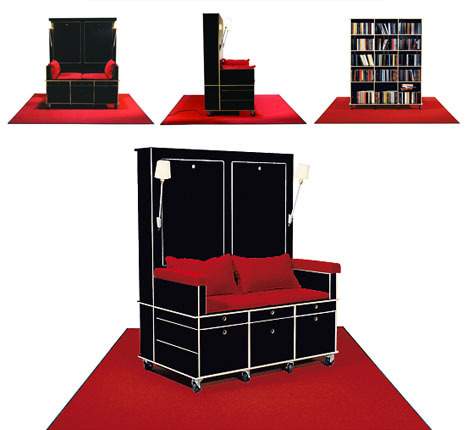 Envisioned as a portable living room and home office in one, ‘Lese+Lebe’ (‘read and live’) by Nils Holger Moorman is on wheels so it could be rolled into different rooms or even outside. 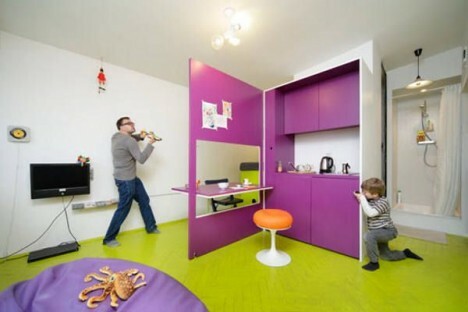 The ‘Tamka’ Apartment in downtown Warsaw, Poland by Jakub Szczesney contains as its centerpiece a fold-out dining and kitchen area. Open the door on a white wall-mounted cabinet to reveal the small kitchen inside, with the door further transforming into a dining surface. 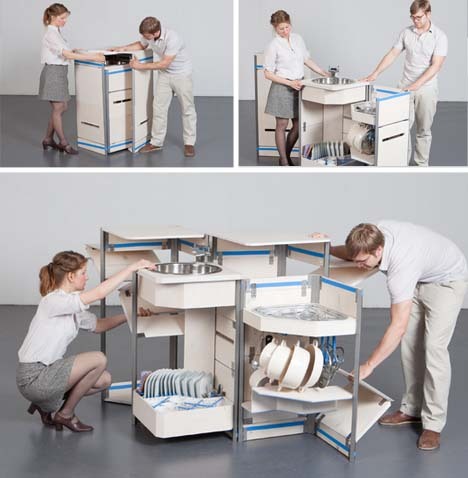 The way this incredibly compact portable kitchen unit unfolds to reveal all of its functions is almost sculptural in nature, with lots more surfaces hidden inside than you’d imagine when it’s closed. What starts out as an unremarkable white box opens up to reveal a sink, drying rack and shelving system. A second box contains a dining table for four. 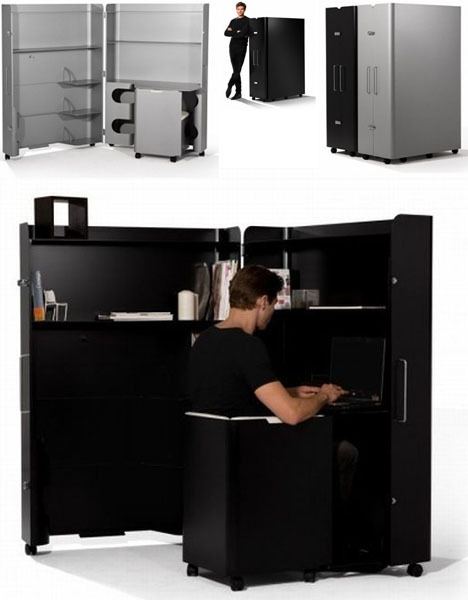 Your entire office could be contained within a metal box on wheels that can easily be rolled into the corner when you don’t need it. 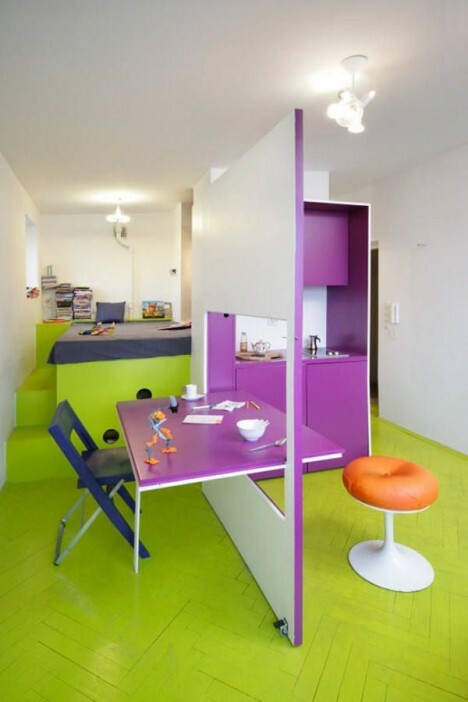 The all-in-one ‘Box Office‘ hides a desk, chair, and lots of storage space so all of your work clutter can be hidden away.